What's that song that plays when I open this page? 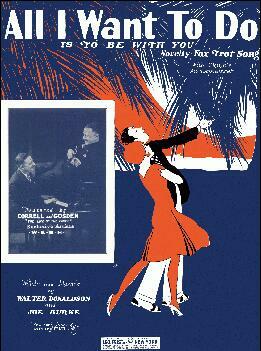 From time to time I'll upload some Goldie Oldens from my meager collection to this page. They are for your enjoyment only and any rights are retained by their respective holders, although they are believed to be in the public domain. Some come from original discs, some from tapes. I've attempted to filter some of the noise inherent with these type of recordings, however some noise may still be apparent depending on their original condition. Need a player for listening to these records? Try my free FreeAir mp3 player. The Winamp mp3 player or Windows Media Player are also available free on the internet. You'll need to decompress the files with a tool such as Winzip or Stuffit expander. The FreeAir mp3 player, Winamp, and Windows Media Player all play this file without any difficulty. If you're using Internet Explorer, a midi file should start playing when this page opens. The tune? 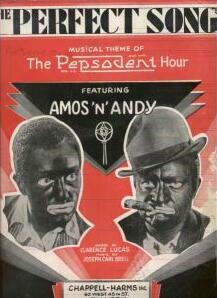 "The Perfect Song", the theme song to the Pepsodent hour and the Amos and Andy theme song. 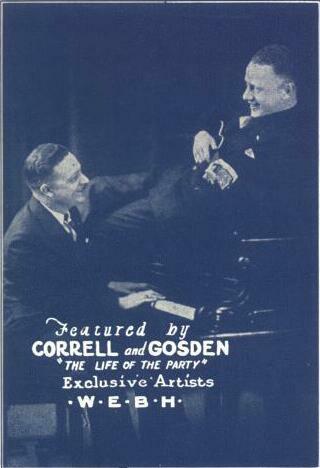 Check for discographical info on Correll-Gosden discs here.